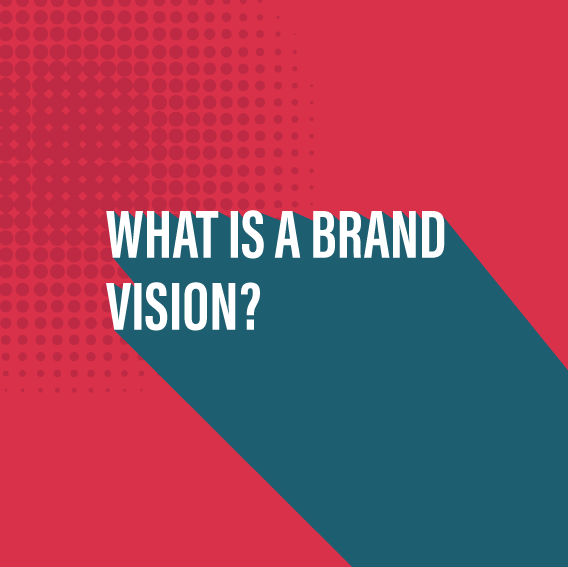 What is a brand vision? Why creating a vision can help brand focus. When it comes to having a great brand strategy, one foundation element is to have a brand vision. When you have a brand vision, it not only helps your business goals by having something to aim for, it also helps your staff and employees to understand their part in moving the brand forward. In the following video, you will get an overview of what a brand vision is along with a some examples of some vision statements from well-known brands to help illustrate brand vision. So, we've already discussed what our brand purpose is in a previous video, but today what we're going to talk about is your brand vision. So, what exactly is a brand vision? In a nutshell, your brand vision is where you see your business being in the future, whether that be five, ten, 100 years from now, but at the same time, you don't have to put a specific timeline on your business' vision. To give you an idea of some vision statements, I've pulled together a couple from some very large brands. So, let's run through them. The first that I've chosen is from American Express, and their vision states, "We work hard every day "to make American Express the world's most respected brand." And next up we've got Microsoft's vision statement, which is, "A computer on every desktop in every home." Something which they've more or less achieved by now. And then we have one from Instagram, which is, "Capture and share the world's moments." Now, these are all very different vision statements but they all have one main commonality, and that is something to strive for, something to look forward to. Vision gives you focus and what it can do is it makes sure that every decision that you make for your business is constantly striving towards it. Now, your vision may change over time, because you will meet and achieve the goals that you initially set. What you shouldn't do, though, is change your vision because you find it's too hard. Your vision should be hard, it should stretch you, it should make you smile when you're getting closer to it, that you're about to achieve that big goal that you've set for your business. "Customers will never love a company, until the employees love it first." Well, that's it for this really quick overview on brand vision. If you haven't watched my video on brand purpose yet, make sure you do so, because it fits in really well with this video. I will also be creating a video on your brand mission, so be sure to check that out when it's ready. If you've enjoyed this video, make sure to give it a like, leave a comment in the section below, and if you haven't, I'd love it if you could subscribe to my channel. And so, until I see you next time, stay creative, folks!